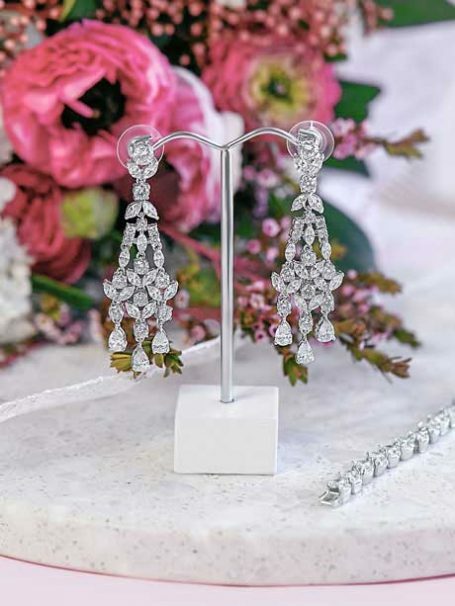 The delicate Allie silver chandelier wedding earrings will delight you every time you wear them. Perfect for your wedding day or any special occasion. Careful consideration has gone into designing these earrings. Each crystal is separate from the other which maximizes movement and cut to capture the light. Ensuring they will sparkle with every movement. Your chandelier earrings will come packed in our cute pink silk keepsakes box. 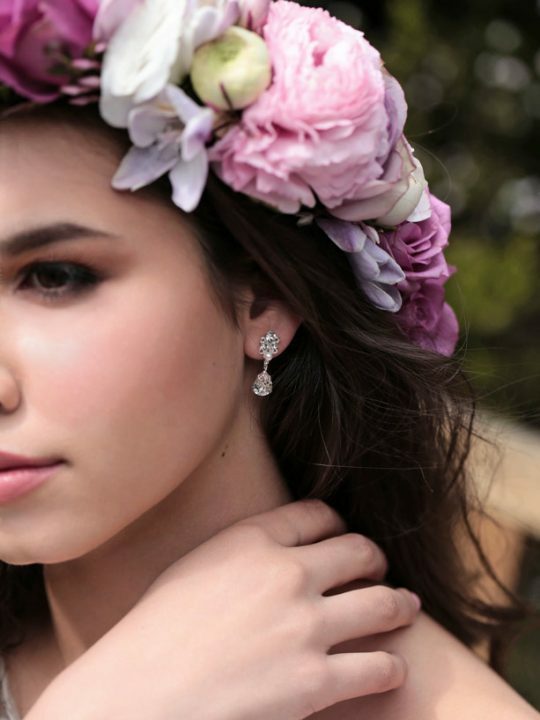 Match your wedding earrings with a bridal bracelet or bridal hair accessories.